04.05. Ostrava Barrák Depeche Mode Spiritual party 2. 01.06. Rožnov p. R. Vrátnice Depeche Mode Painkiller party 2. 07.09. Ostrava Barrák Depeche Mode Spiritual party 3. 28.09. 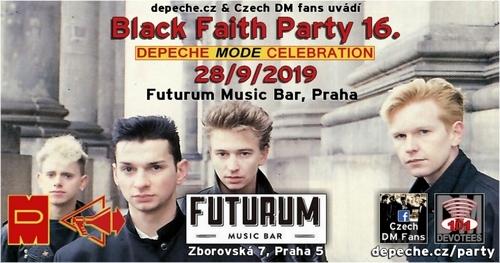 Praha Futurum Black Faith Party 16.